When legions of monstrous creatures, known as Kaiju, started rising from the sea, a war began that would take millions of lives and consume humanity's resources for years on end. To combat the giant Kaiju, a special type of weapon was devised: massive robots, called Jaegers, which are controlled simultaneously by two pilots whose minds are locked in a neural bridge. But even the Jaegers are proving nearly defenseless in the face of the relentless Kaiju. On the verge of defeat, the forces defending mankind have no choice but to turn to two unlikely heroes-a washed up former pilot and an untested trainee who are teamed to drive a legendary but seemingly obsolete Jaeger from the past. Together, they stand as mankind's last hope against the mounting apocalypse. 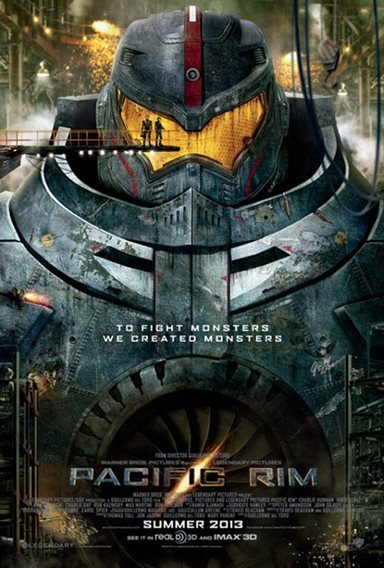 Download Pacific Rim in Digital HD from the iTunes store. Pacific Rim images are © Warner Bros.. All Rights Reserved. Pump yourself up for this one because Pacific Rim takes action to new heights with a noisy display of explosive combat. The battle scenes rise to shock and awe much like you've seen in films like Battleship and Transformers, but that's the point of going to see this genre of film now isn't it. If you drag your lady along however, you may want to give her some ear plugs because the film uses noise as its major sound effect. You don't have to be an action lover to enjoy this barnburner…no wait, yes you do! The story centers on the world being pounded by monstrous creatures (think Godzilla for example) that are ravenous about killing humans. They are called Kaiju and have come from the ocean's deepest sliced cavern in the Earth's crust within the Pacific Rim. The war between Kaiju and man has been going on for years and the military has developed huge robots called Jaegers. Gargantuan androids run by trained pilots that are fearless and brain compatible are used to fight them off. The war has escalated to where more Kaiju are being released from the depths than ever before and the first time in pairs. Brought out of retirement due to the fatal loss of his brother during a Kaiju battle, Raleigh Becket (Charlie Hunnam) arrives at the central dispatching point at the request of commander Stacker Pentecost (Idris Elba). With very few warriors left he's desperate for pilots that are trained in fighting the relentless monsters. When the military realizes that there might be an attack of numerous Kaiju, Becket along with the Hansen brothers, the Wei Tang Triplets and his new partner set out to take down the Kaiju once and for all. The movie jumps into action immediately and from there on it's a roller coaster ride with the audience being drawn into the fold of the military action against the Kaiju. Director Guillermo del Toro hardly lets up keeping his cameras, special effects, costumed actors and CGI moving with a overabundance of destruction to cities and wins versus losses in battles between robots and Kaiju. When he does slow down it's for character build and fighting sequences between Becket and several pilot recruits. While I am as big an action junkie as most, Pacific Rim uses a lot of similar clashes that resemble films like Godzilla 2000, Battleship, Transformers and even The Avengers and the recent Man of Steel. The costumed Kaiju look a little fake at times much like Godzilla 2000 if you remember that film. Although there are no two alike the scaly skin, Kraken like faces and bulging eyes of a dinosaur are common. The monsters even walk like humans at times unless the CGI has been used to make them leap and slash their bodies against the robot warriors. I do like the cinematography especially the action shots of the pilots inside the robots an environment of technology and claustrophobic containment. To operate the huge robot the idea that it needs two pilots that have melded their brains to think alike in order to overcome their monstrous opponents works well with the sci-fi theme. When they come face to face with the Kaiju the battle becomes relentless. 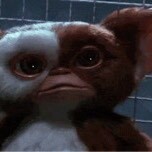 When you tack on the 3D special effects it even gets more intense and up in your face. The acting neither helps nor harms the film as the reason for seeing it comes with the confrontations between entities and most any credible actor could fill the roles. For many like lead actor Charlie Hunnam (Sons of Anarchy), Diego Klattenhoff as Yancy Becket (Homeland), Burn Gorman as Gottlieb (Revenge), Max Martini as Herc Hansen (Revenge) and Robert Kazinsky who plays Chuck Hansen (True Blood) they reached out to television talent to fill the bill. However, that being said I do like the performance by Idris Alba as the commander who has a past that comes up to meet him for one last ride to glory. Adding comic relief to the intense action packed film Charlie Day (It's Always Sunny in Philadelphia) plays a mad scientist Dr. Newton Geiszler who feels he can beat the Kaiju. His role may be small but it adds a good measure of comedy needed for the audience to catch their breath. In addition Ron Pearlman (Hellboy) shows up as Hannibal Chau, a scavenger salesman who sells Kaiju body parts for a living, adding some timely laughter. His role fits in with Day's Geiszler character that needs Kaiju brains to locate their horde. Pacific Rim has been rated PG-13 for sequences of intense sci-fi action and violence throughout, and brief language. If your child has seen Transformers or even Battleship this film delivers more of the same kind of action. So far this is a pretty good movie. Was boring, my god! Felt like i was watching go! Go! Power Rangers! This a fantastic movie. I would love to see it again.